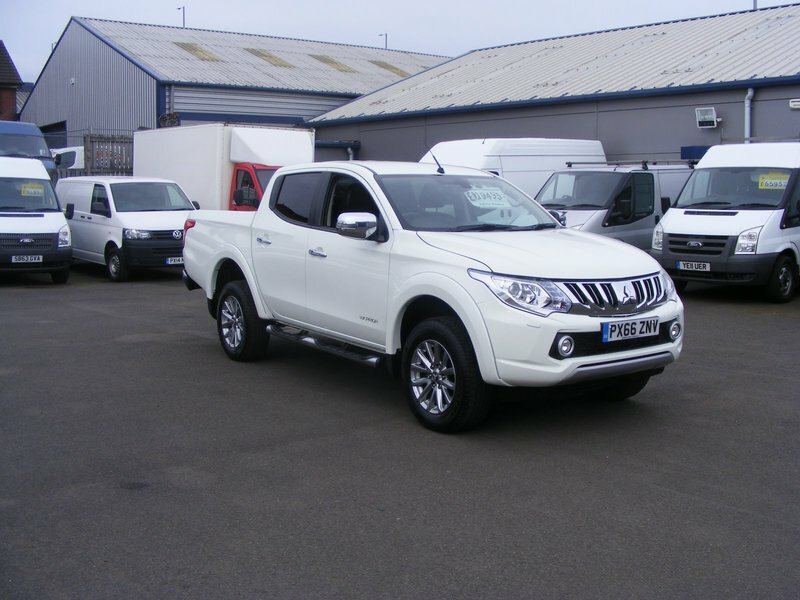 This 1 owner Mitsubishi L200 DI-D 4WD WARRIOR DCB, has only covered 18,500 miles from new. This jeep has full leather interior. The jeep will come with a Full Service, a vigorous Pre Delivery Inspection ( PDI ), 12 Months MOT, 12 Month AA Gold package Comprehensive fantastic Warranty and 12 months AA breakdown cover and a full valet before collection. Exterior Features, Automatic headlight and rain sensor, Bi-xenon headlamps, Body coloured front bumper, Chrome bar style side steps, Chrome door mirrors and handles, Colour coded wheel arch extensions, Dark chrome front grille, Electric folding door mirrors with indicator, Electric heated door mirrors, Front electric windows, one touch open/close + anti trap device, Front fog lights, Headlamp levelling, Headlight washers, Hinged rear doors, LED Daytime running lights, Mud flaps front and rear, Rear and rear side windows privacy glass, Rear electric windows with anti-trap device, Rear step in bumper, Silver front skid plate, Silver side steps, Tailgate pull down handle. Interior Features, 12V socket, 4 way electrically adjustable driver seat, Cargo bed hooks - inner, Chrome inner door handles, Double walled load bed and tailgate, Dual zone climate control, Front centre armrest with storage bin, Gloss black finish electric window switch panels, Heated front seats, Height adjustable front headrests, Height adjustable rear headrest, Interior lamp with map reading lamps, Leather steering wheel, Leather upholstery, Rear heater duct, Rear seat centre armrest, Sunvisor with ticket holder drivers side and vanity mirror passengers side, Tilt and telescopic adjustable steering wheel.